The Adult Program provides a structured and organized therapy program with schedules to address the needs of working adults. Adults receive treatment services that include medical monitoring, individual therapy, group therapy, family therapy, and family support groups. Services are available throughout the day with day groups scheduled between 10 am and 4 pm. Evening groups are scheduled from 5:45 pm to 8:45 pm. Diagnostic assessments and medication monitoring are done during regular business hours. Individual and family therapies are scheduled at the convenience of the patient and therapist. 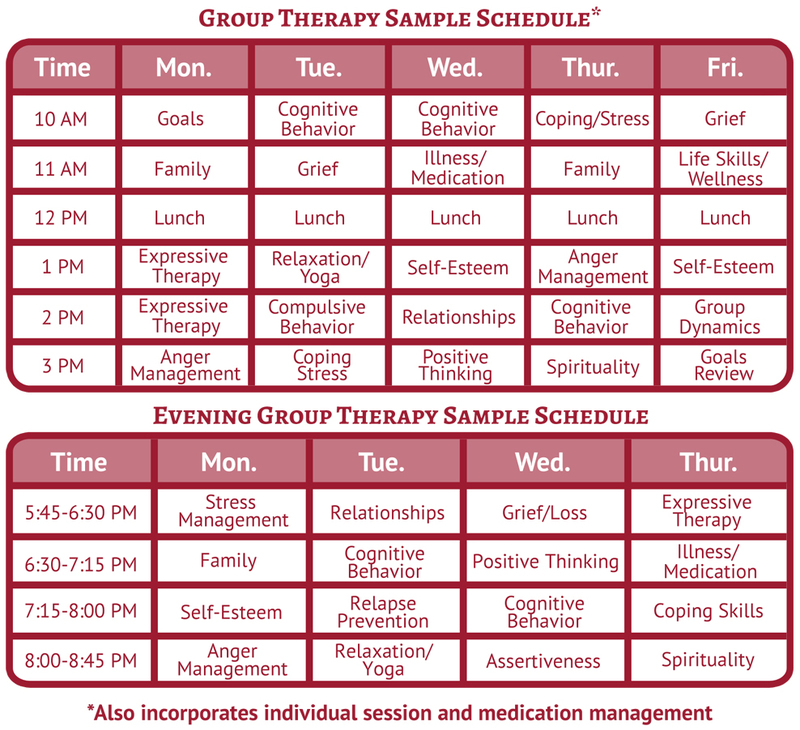 Psycamore also offers a bi-monthly group for the family and friends of patients in the program. They are able to ask questions and learn new information to help better support their loved one. Psycamore does not treat schizophrenia, intellectual disabilities/challenges, severe psychosis, actively suicidal adults, and physically combative patients.